The next time you hear wind chimes ringing through the halls of Kootenay Lake Hospital, it means a new life has entered the community. 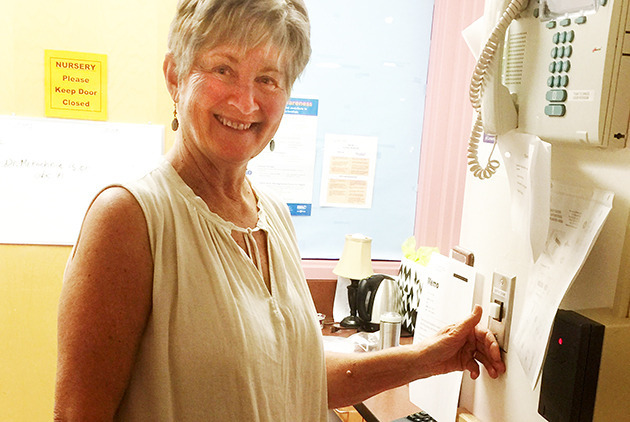 The next time you hear gentle wind chimes ringing through the halls of Kootenay Lake Hospital, it means a new life has entered the community. Electronic birth chimes have been installed in labour and delivery at the hospital. This allows parents of newborns to announce their new arrival over the hospital paging system. The purpose of the chime is to celebrate the common experience of birth throughout the hospital and will be a contrast to the other messaging heard every day over the intercom, such as urgent or emergency calls. Birth chimes were first installed in Interior Health at Royal Inland Hospital in the spring of 2015. They have also been in place at Kootenay Boundary Regional Hospital in Trail since last October. The chimes first rang at Kootenay Lake Hospital on April 14 — twice, to announce the birth of twins. They serve as a reminder that the hospital, although a place of extreme emotion including stress and heartache, is also a place that beautiful beginnings are happening — and to bring hope and inspiration. Every person, patient, housekeeper, administrator, nurse, support staff and visitors will be included in such a message. Birth chimes are intended to bring hope and healing and should feel celebratory. The sound is a natural wind chime. It is not connected to any religion or culture and is not meant to be an interruption. Birth chimes are gentle enough that they do not disturb other patients. Below: Proud grandma Carol Plautz sounds the new birth chimes (twice) to celebrate the birth of her twin grandkids on April 14.